This Labor Day weekend I spent a lot of outdoor time with the in-laws in Quincy. The weather is starting to turn around with night temps in the high 40s and day temps in the low 80s. Although the weather is great, the water levels are still very low. Here's to the predicted El Niño of 2015. The only fish I landed this weekend was a baby smallmouth, but I was able to fish a few new streams and sections of rivers I've never experienced before. This small creek is a tailwater of Antelope Lake in Plumas county. Indian Creek flows from below the lake to Spanish Creek which eventually merges with the North Fork of the Feather River. After doing a bit of researched, I found that there wasn't much information about Indian Creek aside from the fact that there's suppose to be a lot of brown trout in it. This weekend I set off to chase rumors to see if the fishing was any good. The area surrounding the creek is very unique. The hills are full of dead broken trees that were killed by a fire years ago. The creek is very small and has a spring creek feel to it with a lot of aquatic plants, tall grass, fallen trees, and slow moving water. Unfortunately the creek is subjected to low flows all year making the water clarity muddy and swampy. The entire creek from below Antelope Lake to Taylorsville is covered in red algae which can't be good for the fish. After flipping a few rocks, I was able to find caddis and midge larva which means that there some life in the creek. Throughout the day I was able to get four fish to flash and attack my bugger but no hook ups. Although I couldn't identify what species they were, I am predicting that these were brown trout. They were illusive and difficult to catch. The fish were only holding in deep pools which were too far in-between. Other than the fish that hit my fly, I didn't see any fish holding in the runs or riffles. If the flows were higher throughout the year this creek would be amazing. What we have here though isn't worth fishing. 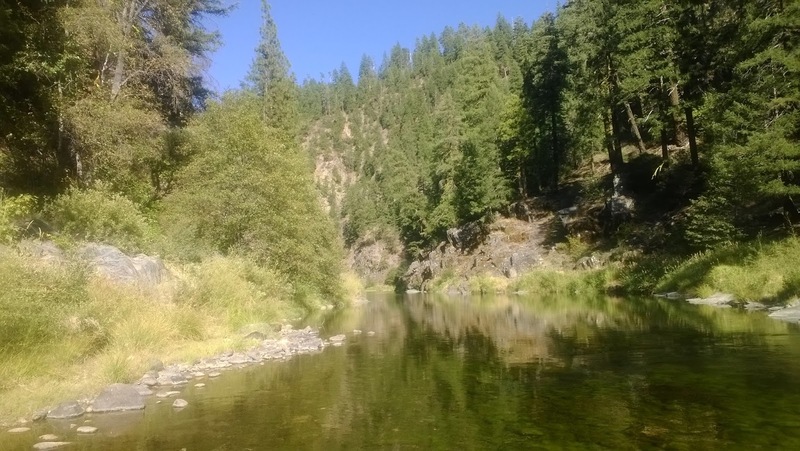 This creek is one of the main tributaries of the North Fork of the Feather River. 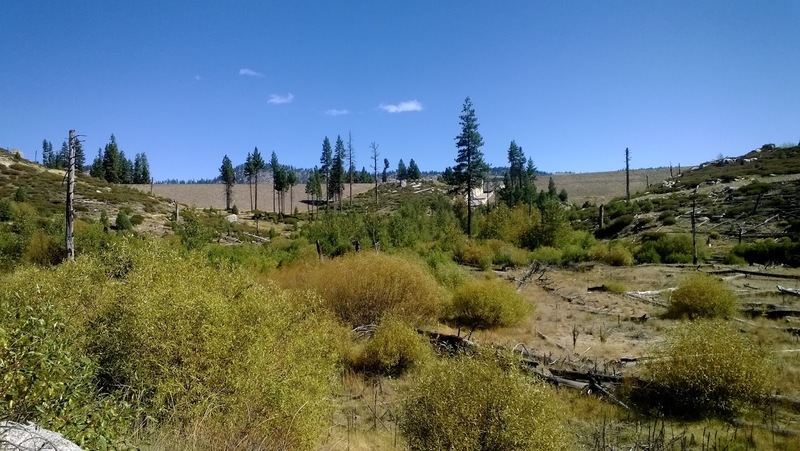 Spanish Creek flows downstream from Bucks Lake and merges with the NFFR at Belden. The information I found about the creek was that it was once stocked with catch-able sized trout. However when stocking stopped years ago the fishing declined. I explored the section of the creek that runs through the town of Quincy. The creek was running extremely low similar to many other small streams in the Sierras due to the drought. After wading downstream a bit, I found zero fish. Unless you're micro fishing for 1" fish, this creek is a no go. 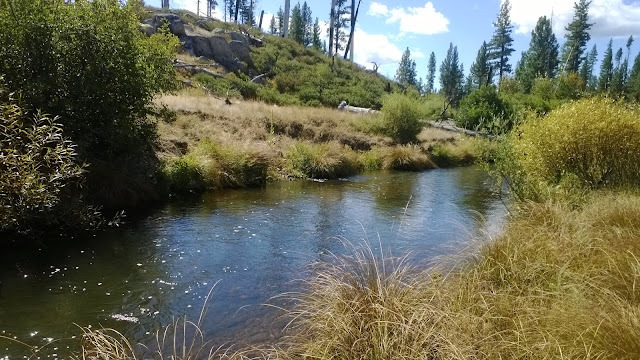 The section of Spanish Creek that flows within the Feather River canyon may be a better spot to try and fish, but I've yet to try it. With cold nights cooling the water, the MFFR is in good condition. The MFFR is anually subjected to warm water during the summer which move a lot of the fish. After the Spanish Creek bummer, I drove to fish the MFFR to test my luck. This trip I explored above the La Porte Bridge which is one of the last roads that crosses the river. 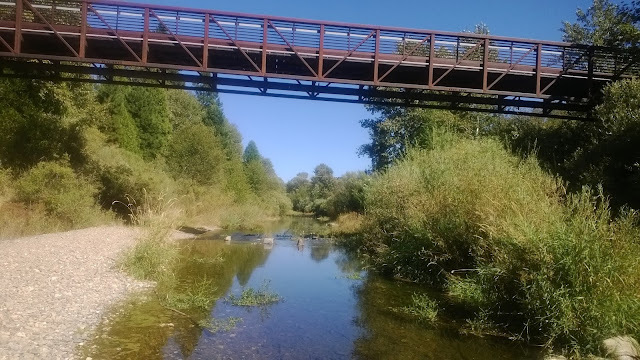 So far I've explored downstream of the La Porte bridge and downstream of Nelson Creek. Curiosity got the better of me and I decided to wade upstream from the bridge this trip. Who cares if I get skunked, let's go on an adventure! The river in this section is an canyon that had more frog water than riffles, runs, or pools. Although I did find a pool with a few nice sized trout, the biggest looking about 18", they were very spooky and nearly impossible to catch. Not very much good water here. So far the best section of the MFFR I've experienced is below Nelson Creek where there are better quality riffles and pools for trout to hold. I also broke my 3wt this trip marking my second broken fly rod. Bummer. I'll be heading back up there soon to fish the North Fork of the Feather River and explore the Middle Fork further downstream. Overall a great weekend.